HPE on Tuesday announced Right Mix Advisor, a set of services designed to help businesses assess where applications are best suited to run — in the public cloud, private cloud or on traditional IT infrastructure. The new Right Mix Advisor services, delivered by HPE Pointnext, help businesses on their hybrid cloud journeys with discovery, assessment, planning, migration, and learning and iteration for determining the right home for their applications. Discovery: Right Mix Advisor uses iQuate’s iQCloud to automate data collection to get a fast and accurate view of the workload/app landscape, dependencies and costs. Assessment: HPE experts use a process of criteria-weighted and automated questionnaires to evaluate the needs of each workload based on real-time information and benchmarks. Planning: Pointnext experts deliver a master data repository that contains the application profiles and recommended actions, based on scoring that quantifies the migration priority for each application. Migration: The HPE Right Mix Advisor output helps experts determine the best way to move and migrate apps based on the right mix recommendation. This includes determinations as to which applications should be moved first. 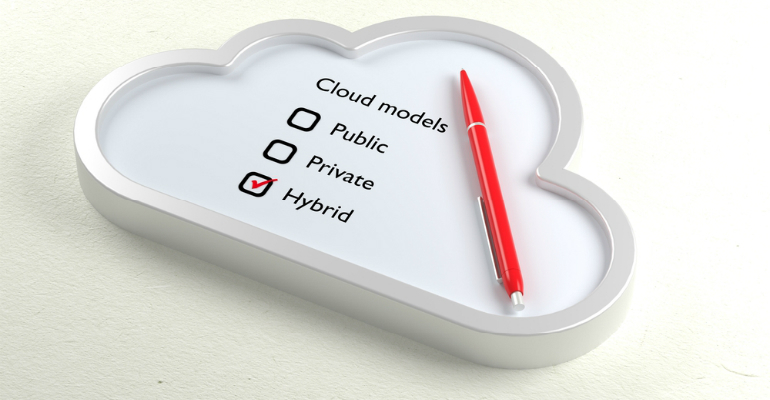 HPE’s hybrid-cloud experts apply best-practice methodologies and tools to implement the right mix. Learning and iteration: With the addition of new and updated data from external sources, clients can iterate based on a current view of the landscape and a determined schedule. The data can also be used to evaluate specific application sets and answer questions about application strategy. There’s complexity involved in making determinations about where an application and data should reside, and if it can be moved. Other issues taken into consideration include governance, geo placement, and redundant qualities. HPE created the Right Mix Advisor by using its existing workload assessment and portability toolkit and enhancing it by integrating best practices and expertise from Cloud Technology Partners, acquired in 2017, and RedPixie, acquired last April, and augmenting with automation. HPE has redesigned the toolset to allow it to use third-party data, such as CMDB data from ServiceNow ad the latest cloud pricing models to help with evaluations and decision-making, the vendor said.